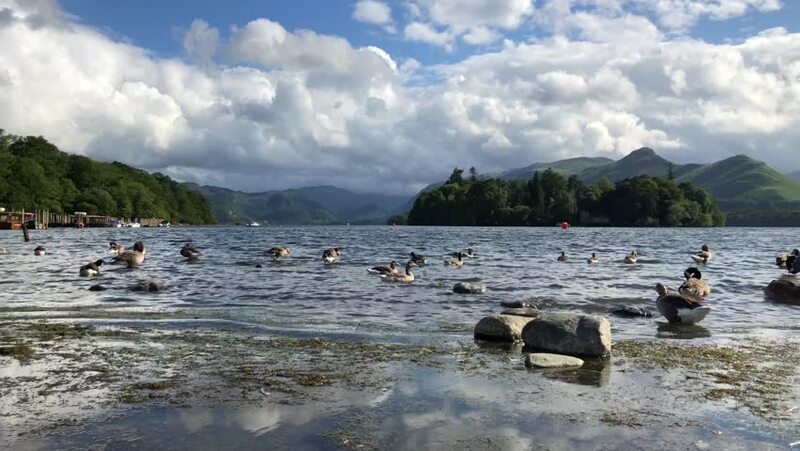 Ducks and Geese on Derwent Water at Keswick in the Lake District, Cumbria, England under a blue partly cloudy sky. Filmed at 60fps. 4k00:12Ducks and Geese on Derwent Water at Keswick in the Lake District, Cumbria, England under a blue partly cloudy sky. Filmed at 60fps and slowed down to 30fps. hd00:26Jungle Shoreline Captive/ The shoreline fronting the jungle adds more interest to visit. 4k00:214K. Tourist ferry departing from the island of Lokrum in Dubrovnik, Croatia. Tourists waiting at the pier of Portoc.